Home visit physiotherapy is a relatively new endeavor in the physiotherapy profession. 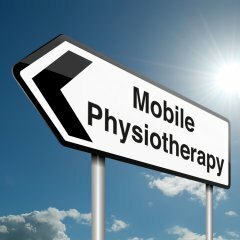 It is essentially what it sounds like; rather than you coming to a clinic for your physiotherapy appointment, the physio will come to you and complete the session in the comfort of your own home. · Severe back and neck pain. · Recent fractures or surgery. Regardless of the condition that prevents you from leaving the house, the physiotherapist will be well prepared, bringing a variety of equipment - including a massage table - to your home to complete the consult to a high standard. This means that whether you opt to have a home visit or visit the clinic yourself, you will receive the same, high standard physiotherapy consult. A home visit has further benefits. Being able to see your home environment is advantageous for a physiotherapist, as we can see exactly what home environment you are dealing with. This means we can tailor exercises even more specifically to you, and how you the best way to complete them in the comfort of you won home. Furthermore, we can help you set up your home environment to deal with your condition even better. Having trouble using your crutches to get down the stairs? Don’t worry the physio can show you in your own home, that’s what we’re there for! There are certainly many advantages of having a home visit, and the standard of consultation remains as high as if you came to the clinic. If you feel that a home visit is what you need, please don’t hesitate to contact your physiotherapist.